Oil Sump Pan. Anti Roll Bar link. Lower Ball. These are NOT cheapHEATER BLOWER MOTORS, they are built to LAST! OtherHEATER BLOWER MOTORS also available. Engine and Gearbox Mounts. Wheel Hubs and Bearings. Adatta: Tutti i Signum 1.8 2.0 2.2 3.2 Turbo V6 CDTI (2003-2008). Car: Vauxhall / Opel. Nuovo di zecca per Vauxhall/Opel soffiatori & Fans. 3 L'elenco è per 1 unità. Other Part Number 34097. Other Part Number 698805. 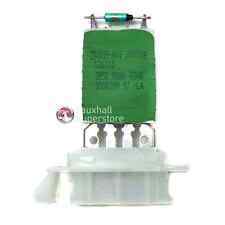 $ Numero di parte di riscaldatore ventilatore resistore Vauxhall: 9180020 Questo resistore è adatto per: Signum 2002-2008. $VAUXHALL OPEL SIGNUM RESISTORE VENTOLA SOFFIATORE RADIATORE MOTORE 02-08 Questo foglio informativo sul prodotto è stato originariamente stilato in lingua inglese. Si prega di consultare appresso una traduzione automatica dello stesso in lingua italiani. Per ogni domanda, si invita cortesemente a contattarci. RESISTORE VENTOLA MOTORE SOFFIANTE DI VAUXHALL SIGNUM RISCALDATORE, 2002-2008, PARTE N. 9180020 Soffiando Resistenza. Codice Vauxhall 9180020 Tale resistenza è adatto a: Signum 2002-2008 Questo articolo viene con indomani spedizione e può essere spedito all'estero, messaggio, per ulteriori dettagli. Sentitevi liberi di fare tutte le domande. To Fit: All Signum 1.8 2.0 2.2 3.2 Turbo V6 CDTI (2003-2008). OEM Part Number: 1845109. VAUXHALL OPEL SIGNUM. Signum 2002-2008. Vauxhall part number: 9180020. 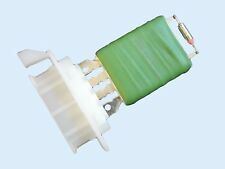 Heater Blower Resistor. Part number - 006973Z, 13V. 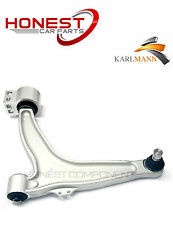 Will fit Vectra C 2005 - 2009 models. Our carriage is to UK Mainland only, not including Scottish Highlands. HoweverIT IS YOUR RESPONSIBILITY TO CHECK IF PART WILL FIT YOUR CAR. TIE ROD AND STABILISER LINK. 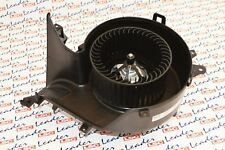 VAUXHALL SIGNUM Interior Blower 21-0012 1.9 ltr 01/03-01/08. SIGNUM Turbo. APEC WEAR INDICATOR, BRAKE PAD. Blue Print Filter Service Kits. DENSO SENSOR. APEC BRAKE DISC & PADS KIT. 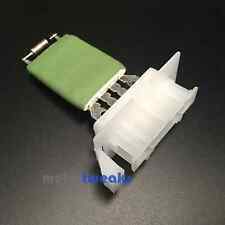 Part number: 006613U, 11V. Signum 2002 - 2009 models. Vectra C 2002 - 2009 models. Our carriage is to UK Mainland only, not including Scottish Highlands. HoweverIT IS YOUR RESPONSIBILITY TO CHECK IF PART WILL FIT YOUR CAR. Works perfect no noises you can buy in confidance. 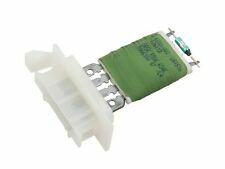 Part number - 006973Z, 13V. Signum 2002 - 2005 models. Vectra C 2002 - 2005 models. Our carriage is to UK Mainland only, not including Scottish Highlands. HoweverIT IS YOUR RESPONSIBILITY TO CHECK IF PART WILL FIT YOUR CAR. Part number - 006973Z, 11V. Signum 2002 - 2008 models. Vectra C 2002 - 2009 models. Our carriage is to UK Mainland only, not including Scottish Highlands. HoweverIT IS YOUR RESPONSIBILITY TO CHECK IF PART WILL FIT YOUR CAR. 13221348 , 13250116 , 1845088 , 1845109. 1845122 , 77363776 , 9180222 , 13250116. OPEL / VAUXHALLSIGNUM ( 2003-2008 ). OPEL / VAUXHALLVECTRA ( 2002-2009 ). HEATER BLOWER MOTOR FAN. Signum - Signum 2.2 DIG 155cv Hatchback, Signum 2.2 DTi 125cv Hatchback, Signum 3.2 i V6 211cv Hatchback, Signum 2.0 DTi 100cv Hatchback, Signum 2.0 i Turbo 175cv Hatchback, Signum 3.0 CDTi V6 177cv Hatchback, Signum 3.0 CDTi V6 177cv Hatchback. Part Number : 698803. The close fit between these products adds genuine value to driving and parking by allowing motorists to use new functions. In this way, Valeo makes the very latest drive and park assistance technology on the market much more accessible. 09.06 - 09.08. 05.03 - 06.08. 05.03 - 04.04. 08.02 - 06.08. 04.04 - 01.09. 05.03 - 07.05. 09.05 - 12.08. 01.06 - 12.08. 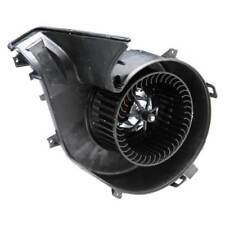 HEATER BLOWER FAN MOTOR FOR OPEL SIGNUM, VECTRA C, VAUXHALL SIGNUM, VECTRA, 13221348. 1845109, 13250116, 1845122, 13221348, 1845088, 77363776, 9180222. Vauxhall Signum --[2003-2008] Hatchback. Opel Signum --[2003-2008] Hatchback. Unlike conventional breakers the public are not allowed into our yard. All vehicles are dismantled by us in our specialised dismantling bays. Expert staff on hand to help. Over 25 years experience.